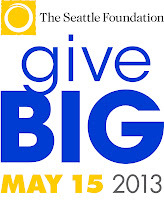 PTMSC Blog : The Countdown to GiveBig is on! You met Jeeps last week. Today, we'd like to introduce you to Pinkie. Jeeps and Pinkie are tankmates, sharing the same watery space at the Port Townsend Marine Science Center. 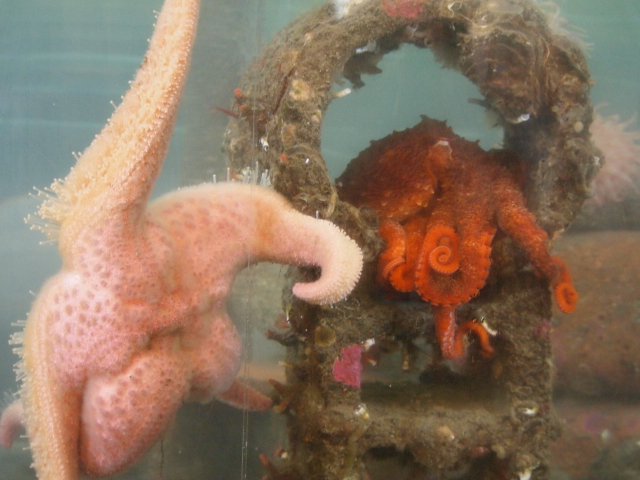 Jeeps (short for GPO or Giant Pacific Octopus) and Pinkie (our Giant Pink Sea Star) spend their days entertaining visitors as they roam around their home in search of food. Giant Pink Sea Stars, like Pinkie, can reach a diameter of two feet and weigh up to two pounds. They’re often found on sand or mud eating clams or sand dollars. Smaller ones live on rocks or pilings where they prey on barnacles, mussels and tube worms. As water-loving creatures, they’re normally only seen on the beach at very low tides since they can’t tolerate being out of the water for long. In 12 days, you can help the PTMSC care for amazing marine animals like Jeeps and Pinkie. 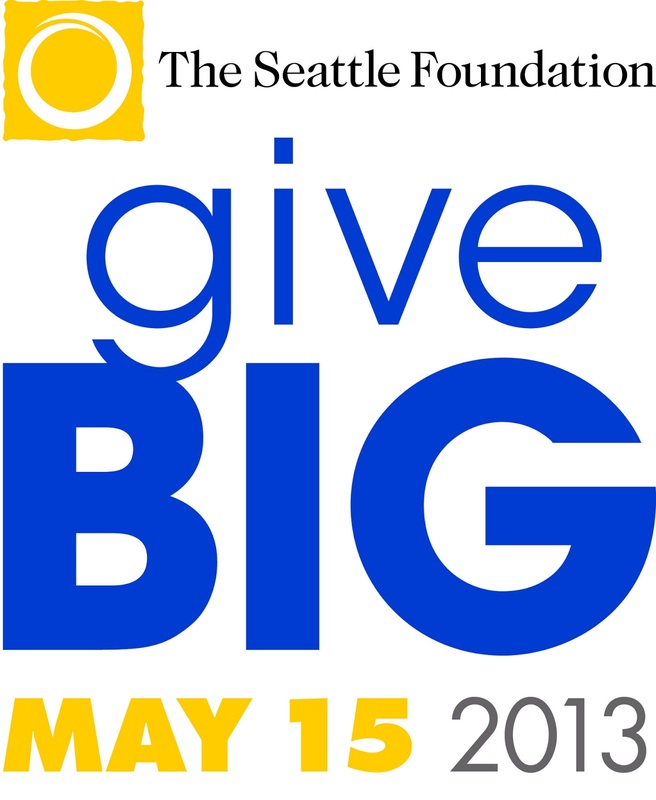 By participating in the Seattle Foundation’s GiveBig campaign on May 15th you will be part of inspiring conservation of the Salish Sea. For 24 hours, whatever amount you give toward our goal of $10,000 is “stretched” by the Seattle Foundation, meaning they’ll add to the amount you contribute.